For the nutritional support of healthy muscle function, this will make the horse drink. 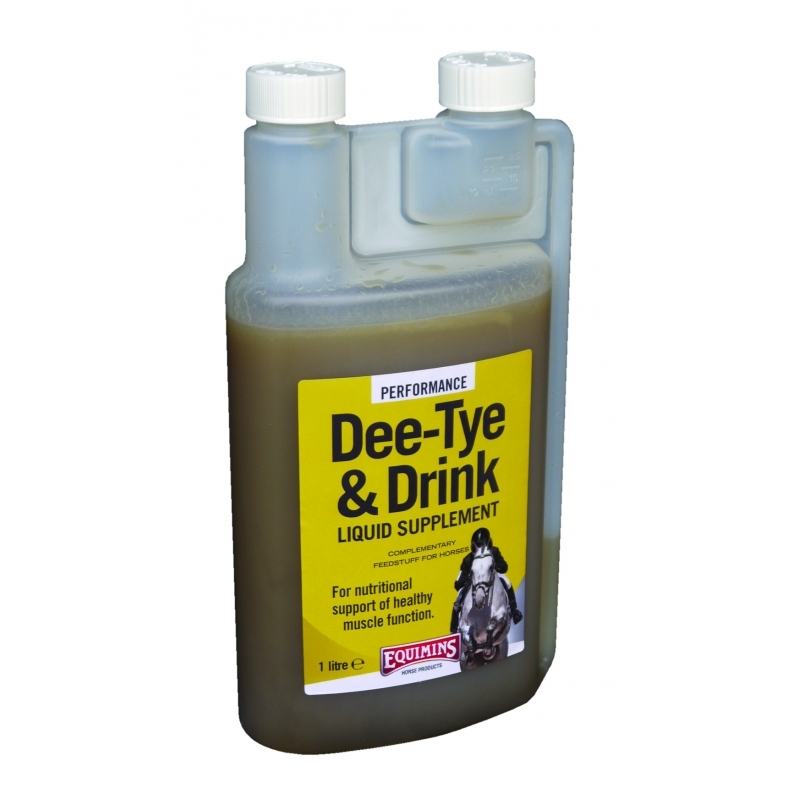 Dee-Tye will make horses drink for the nutritional support of healthy muscle function. Contains important natural antioxidants, trace elements, minerals, body salts, D-alpha Tocopherol acetate (source of vitamin E), selenium, citric acid in a cherry flavoured liquid base. 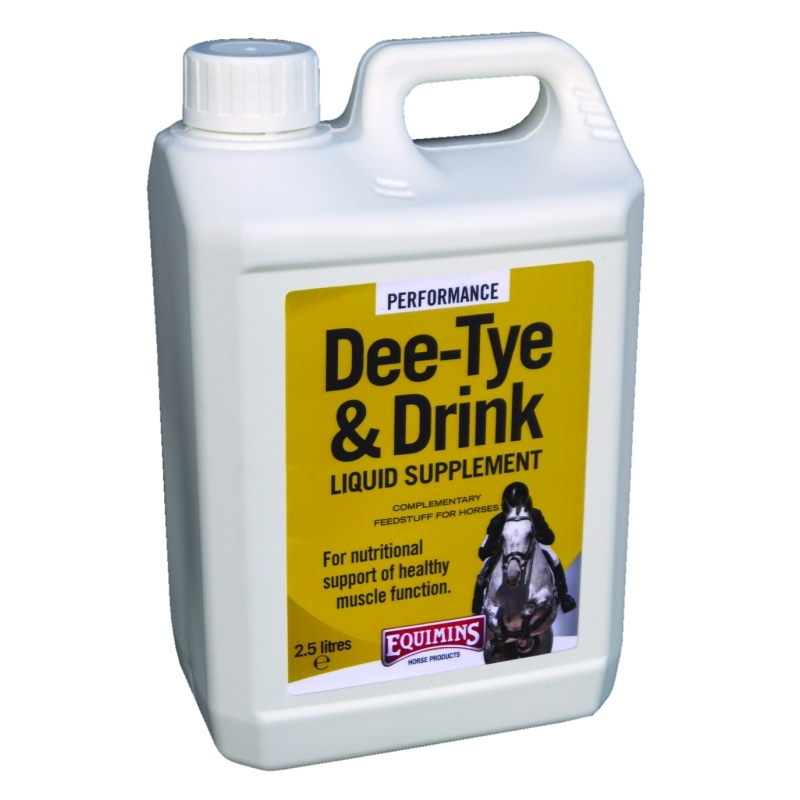 This supplement will encourage your horse to drink more, essential to help avoid the stiffening up of muscles which can compromise peak performance. 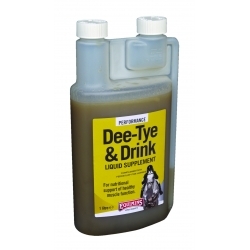 There are also a number of other ingredients in this product to support muscle function. 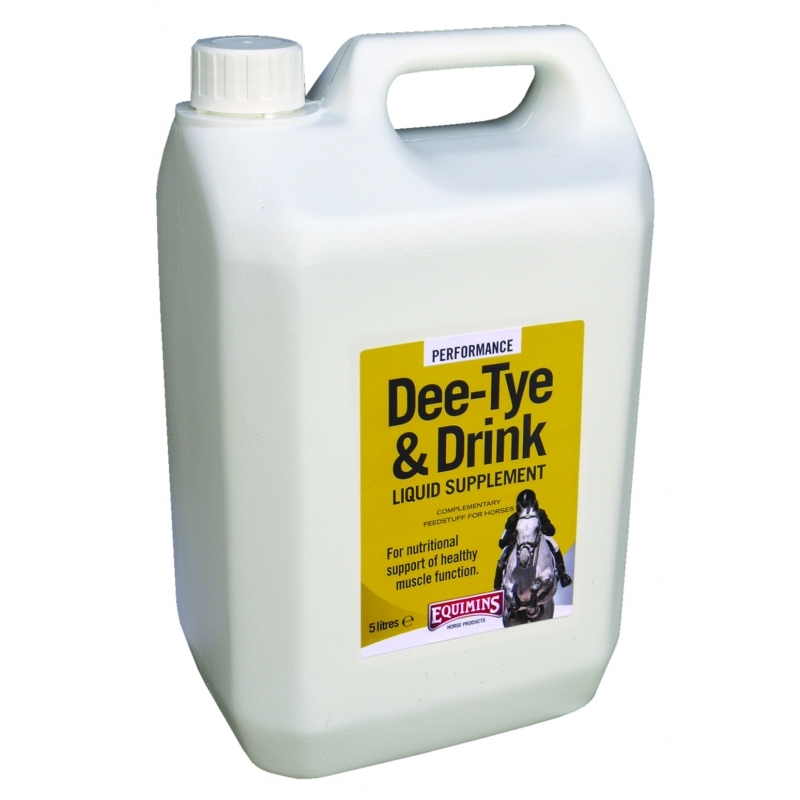 Horses: Add 30 ml to the daily feed or give 50 ml on the tongue following hard strenuous work.